The Zeavola Resort is perfectly positioned on the beachfront of Laem Tong Beach on the northern tip of Ko Phi Phi Don. The beachfront location of the Zeavola is the perfect getaway for couples looking for a romantic beach vacation on Ko Phi Phi Don. The Zeavola is an ideal spot where you can truly relax and enjoy your beach vacation in the privacy of a tropical five star resort. The Zeavola has 53 spacious suites and villas to choose from. All the villas and suites at the resort are beautifully decorated with modern facilities. There are 4 Pool Villas all of which are very spacious and private, located on the hill with fantastic 180 degree ocean views. 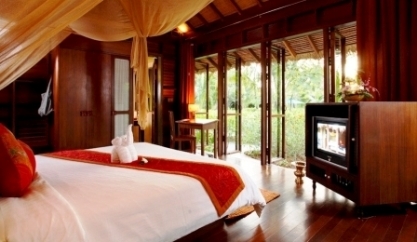 Each of the pool villa's have an air conditioned bedroom with a king size bed, home theatre system and plasma TV. The bathroom within the pool villas have two showers and two hand basins. There are 3 Beach Front Suites at the Zeavola all featuring a king size bed, a spacious living room and a private garden. 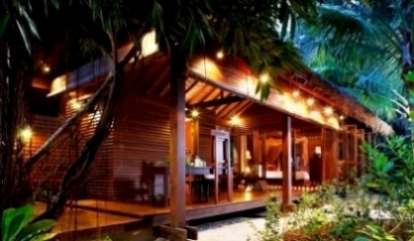 There are 35 Garden Suites, theses suites are positioned higher than the beach villas. These suites have a unique design with an extended living room and feature either a king size bed or twin beds and two showers. One shower is located in the bathroom while the other is an outdoor rain shower. There are 11 Village Suites all with spacious living rooms and feature a king size bed. The Zeavola beach resort boasts two stylish restaurants that serve traditional Thai and international cuisine. Other facilities available at the resort include a swimming pool and a health spa with an extensive range of spa treatments, massages, and facials. The Zeavola has an excellent selection of activities to enjoy including fishing, scuba diving and game fishing. The resort also provides snorkels, mask, fins and kayaks free of charge for guests to use. To get to Tonsai Bay from the Zeavola, you will need to take a longtail boat. The resort has their own boats, but if you walk two minutes down the beach to the Sea Gypsy Village you will find they are much cheaper then at the resort. 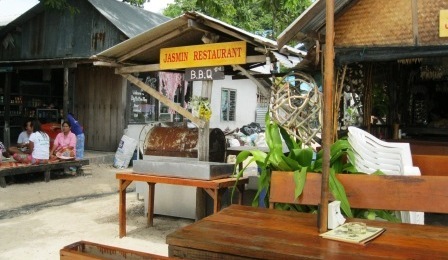 If you are on a budget, and find that the restaurant prices at the Zeavola are to expensive try the Jasmin Restaurant in the sea gypsies village and experience the 'local' and laid back lifestyle and fantastic Thai cuisine. The Zeavola is a fantastic choice, read hotel reviews from other guests who have booked through Agoda. And see what other travelers have to say about their holiday at the Zeavola on TripAdvisor.